You can't drive impaired in Manitoba. 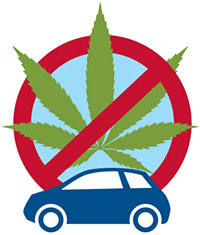 It is illegal to operate a motor vehicle while impaired by a drug, including cannabis. Persons who do so can be charged and face penalties under the Criminal Code and also receive sanctions, such as driver's licence suspensions, under the Highway Traffic Act. Drivers who get behind the wheel while high pose a risk of injury or death to themselves and others and could face serious legal consequences. Those who drive impaired can be charged and face penalties under the Criminal Code, ranging from a fine of at least $1,000 for a first offence, mandatory jail sentences for subsequent offences, and a court-ordered driving prohibition ranging from at least one year to a maximum of three years for a first offence. Impaired drivers also receive sanctions, such as driver's licence suspensions, vehicle impoundment, and ignition interlock use requirements under the Highway Traffic Act.